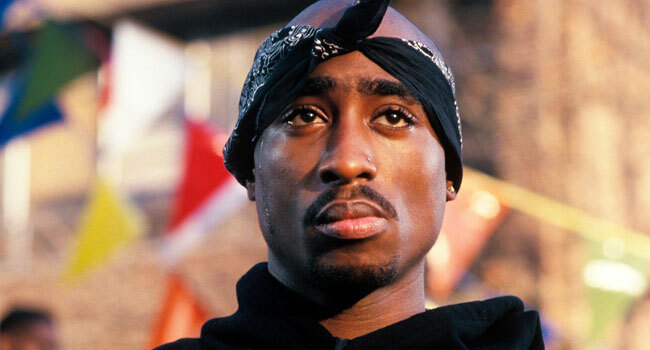 A fully authorized Tupac Shakur documentary is the in the works. The Shakur Estate and Amaru Entertainment — a company the rapper’s mom Afeni Shakur created to release her son’s posthumous projects — is working with Nigel Sinclair’s White Horse Pictures for the project. The film will be directed by Academy Award-winning director, Steve McQueen (12 Years A Slave) and produced by Jayson Jackson (What Happened, Miss Simone?) and White Horse Pictures’ Nigel Sinclair (The Beatles: Eight Days A Week – The Touring Years) and Nicholas Ferrall, together with Shakur Estate Trustee Tom Whalley. Tupac’s aunt, Gloria Cox, will executive produce along with White Horse’s Jeanne Elfant Festa. “Tupac’s timeless message resonates today as strongly as it did when I first discovered him in 1990, possibly more so. His legacy is unfortunately seen now through the refraction of the headlines, the controversy, and the tragic way his life ended,” Whalley comments. “With this film, we will show the artist and the young man who existed beyond the news. I have an obligation to both Tupac and Afeni Shakur, to make sure this project becomes realized. In the final year of her life, Afeni and I spoke often of her desire to have her son’s true story be told. We are very excited to be working with the talents of Steve McQueen, Jayson Jackson and Nigel Sinclair. The documentary will be produced with the full cooperation and the assistance of The Shakur Estate, and financed and distributed by Amaru Entertainment. White Horse Pictures is engaged as the worldwide sales agent on the documentary. Interscope Records, the label that released the majority of Tupac’s catalog, and Universal Music Publishing Group will provide help and full support to the production. Both companies are divisions of Universal Music Group. No word on when production will begin or an expected release date.